When Apple said that iTunes Match would not be a streaming service, they meant it. 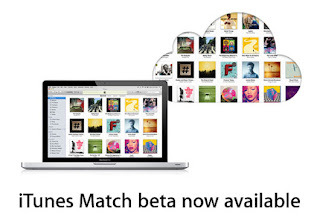 Although iTunes Match as unveiled earlier this week appeared to have a streaming component, that behavior has been removed in iOS 5 Beta 7, which was released on Wednesday. Although Apple denied it was streaming, most believed it was a matter of semantics. The earlier behavior allowed either downloading a song to your iDevice, and then playing, or playing it as it downloaded to a cache. The new behavior requires the song to be downloaded to an iDevice, period. Streaming or no streaming, unlike other Internet-based music services, such as Amazon.com's Cloud Drive, iTunes Match does not require an end user to upload their music to the cloud. Instead, it scans a user's library of songs, and matches them against songs on Apple's servers. Anything not in Apple's library of some 18 million songs will be uploaded. Songs that match, however, will be "played" via Apple's copies, even if they are of higher quality than the users'. which require users to upload their personal collection, iTunes Match will scan a user's library of songs, including those ripped from their own CDs, and match the files up with the library of 18 million songs available through the iTunes Music Store. 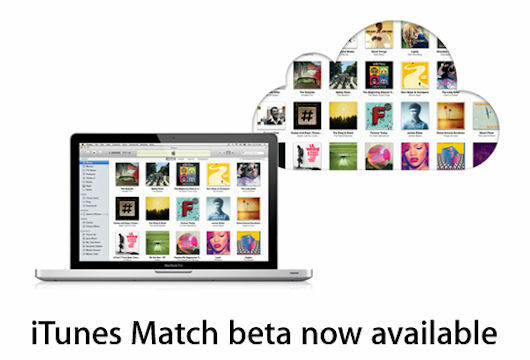 iTunes Match is scheduled to launch this fall along with iOS 5; currently only developers have access to the service, which will cost $24.99 annually. You can watch videos of the prior and current behaviors below.